Dr. Mortimer looked strangely at us for an instant and his voice sank almost to a whisper as he answered, "Mr. Holmes, they were the footprints of a gigantic hound." The "luminous, ghostly, and spectral" hound of family legend has been seen roaming the moors at night. 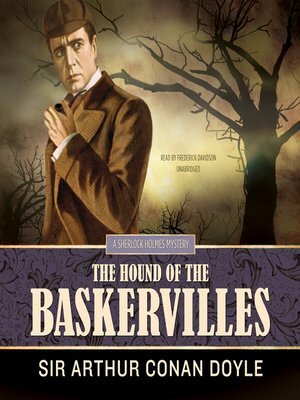 Sir Charles Baskerville has recently died, and it appears that the new baronet, Sir Henry, has inherited not only the vast wealth and property of his family but also a terrible destiny. To this Holmes ominously observes, "It's an ugly business, Watson, an ugly dangerous business and the more I see of it the less I like it."